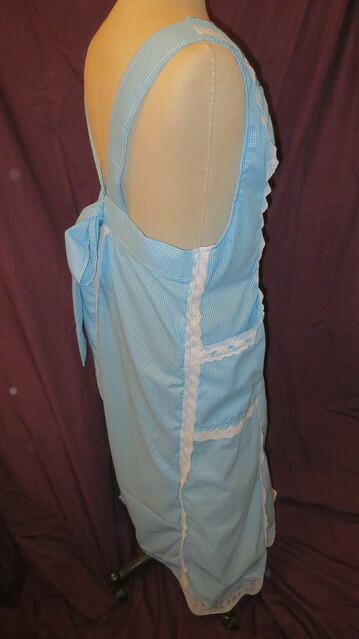 This does not look like much by itself but with the blue dress that has a lot of details I thought it would be over the top to add a lot of detail to this apron. 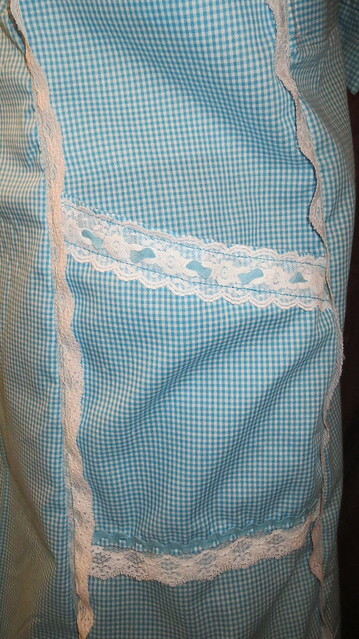 Sorry I had a hard time photographing this apron. 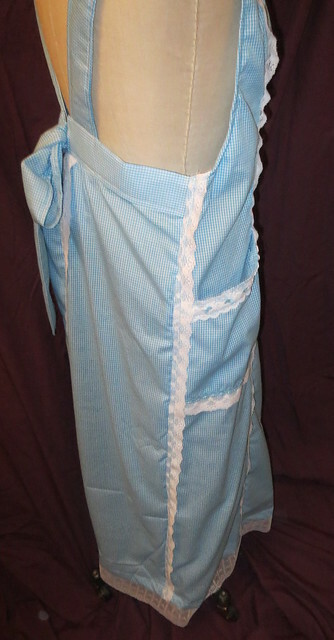 Also I promised to show the petticoat hem of Amy's blue dress. 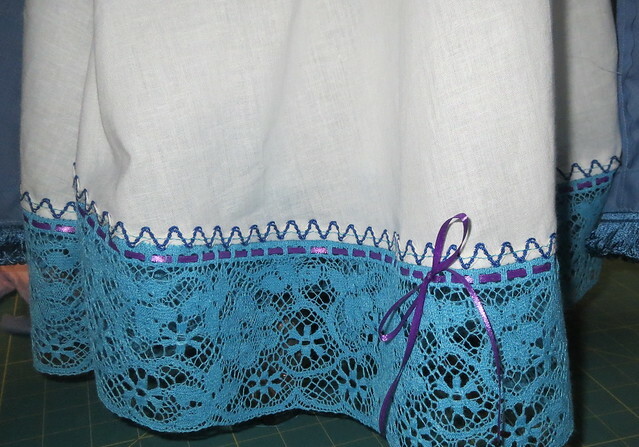 Blue lace that I wove double sided purple satin ribbon through and antique rick rack trim that is blue and white.